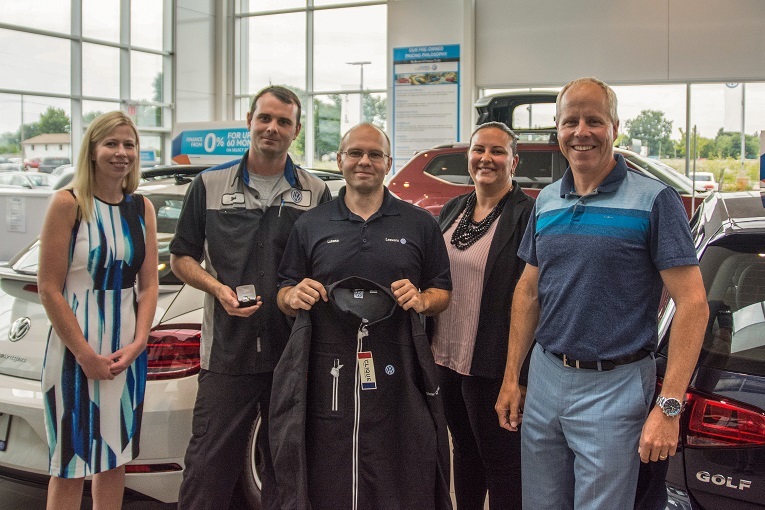 This year, Volkswagen Canada teamed up with Volkswagen of America to offer the Retail Qualification Championship (RQC) 2017. This competition is designed for dealer staff to show off their talent, skills, and knowledge. 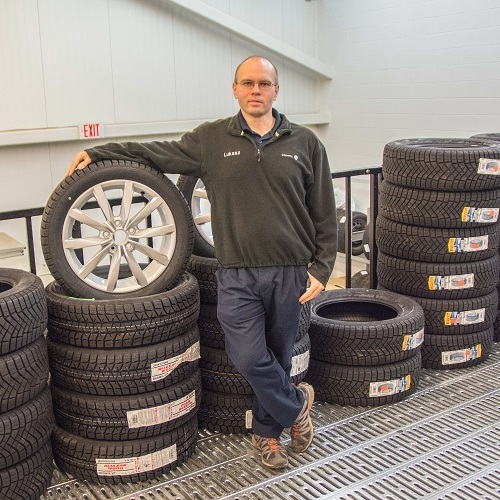 Congratulations go out to our Parts Consultant Lukasz! He is one of the top two scoring participants in the Parts Consultants category in Canada and will move on to compete with regional winners from across the United States in “The Checkered Flag Waves” National Championship Finals in Fort Lauderdale, Florida in November 2017.
to Brad Perkins on receiving his Master Technicians Ring and to Lukasz Kaczmarek on becoming a Master Parts Consultant. Both received awards from Volkswagen Canada. Leavens Volkswagen is proud to have both Brad and Lukasz as valued members of the team. Outstanding job and keep up the great work! Leavens Volkswagen is collecting donations from November 1st – December 20th for The London Food Bank. Donations can be dropped off at the dealership during regular business hours. We are also accepting cash donations. *Please check expiry dates before donating food items. Thank you for helping us support our local community leading up to the holiday season. Thank you to our valued customers, staff, and community who helped the Leavens Automotive Group raise over $8500 in support of the Canadian Breast Cancer Foundation. October is Breast Cancer Action Month and during this time, the Leavens Automotive Group is asking customers and friends to GIVE PINK to raise funds for the Canadian Breast Cancer Foundation. Help us reach our goal of a minimum contribution of $7,500 to the Canadian Breast Cancer Foundation over the month of October. All donors will recieve a Thank You slip to put on our wall!